The Merseyside FCERM Partnership works closely with the St Helens and Halton Councils who sit within the Cheshire Mid-Mersey FCERM Partnership in matters relating to the Liverpool City Region (LCR) Combined Authority. 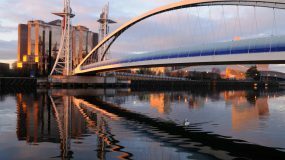 Warrington and West Lancashire Councils are also Associate Members of the Combined Authority. The aim of the LCR is to increase growth to the local economy and to attract more residents and businesses to live, work, visit or invest in the region. Click here for further information. The Merseyside FCERM Partnership is a collective grouping of the main authorities who manage flood risk and coastal erosion in Merseyside; that is Knowsley, Liverpool City, Sefton, and Wirral Councils who lead on local flood risk management, the Environment Agency and United Utilities as the water and sewerage company. 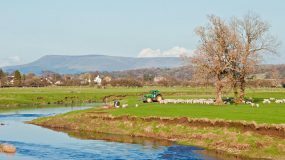 The Mersey Rivers Trust is also a partner organisation and provides local expertise on helping us to improve our rivers and waterways. Click here to see our interactive map and search for schemes, groups and events going on in your area. 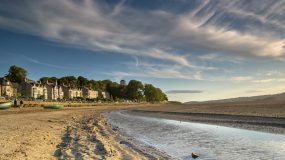 To view the Environment Agency’s five year flood and coastal risk management asset maintenance programme, click here. For more details on the programme, click here. Located on the coast at the lower reaches of the Alt-Crossens and Lower Mersey river catchments, the Merseyside Partnership spans an area of 249 square miles (645 km2) bordering Lancashire to the north, Greater Manchester to the east, Cheshire to the south and south-west, and the Irish Sea to the west. A mix of high density urban areas, suburbs, semi-rural and rural locations makes for a varied use of land, but overwhelmingly Merseyside is urban. It has a focused central business district formed by Liverpool City Centre, and the Liverpool Urban Area is the fifth most populous conurbation in England. 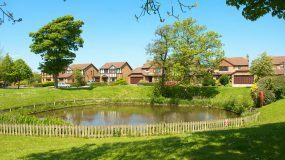 As a result of its urban nature Merseyside has a high surface water flood risk relative to other areas in the North West, whilst the risk from rivers and the sea is comparatively low. Table 1 puts the number of people at risk of flooding in the context of the size of the Local Authority’s population. Endorsing and co-ordinating funding bids for the Merseyside partners. Applying the North West RFCC’s objectives locally and setting local priorities and overseeing the progress of their delivery. The Chair and Deputy Chair of the Partnership are appointed for a two year term, with the current term running until June 2020. Two Councillors attend the North West RFCC to represent the Merseyside FCERM Partnership on a rotational basis. These meetings are chaired by a Local Authority officer and are attended by technical and operational lead officers from all partner organisations. This group addresses priority flooding incidents, co-ordinate delivery, share skills and establish priorities and actions to facilitate joint working. The group manages the delivery of flood risk management priorities and working initiatives as directed by the Strategic Partnership Group. The Liverpool City Region Combined Authority is led by Metro Mayor Steve Rotherham and brings together Liverpool City Region’s six local authorities – Halton, Liverpool, Knowsley, Sefton, St Helens and Wirral – to work together to make investments in areas such as transport, employment, culture, digital and housing. The aim of the Liverpool City Region is to increase growth to the local economy and to attract more residents and businesses to live, work, visit or invest in the region through the use of its devolved powers. The Merseyside FCERM Partnership also works closely with the St Helens Council and Halton Council who sit within the Cheshire Mid-Mersey FCERM Partnership in matters relating to the Liverpool City Region (LCR) Combined Authority. Warrington Council and West Lancashire Council are Associate Members of the Combined Authority. In 2018, the Government launched its 25 year plan for the environment, pledging that we would be the first generation to leave our environment in a better state than we found it. 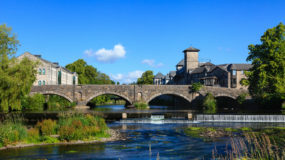 As part of the plan, 2019 was declared as a national Year of Green Action across the UK. The Liverpool City Region’s Local Nature Partnership, Nature Connected, is taking the initiative, along with the Combined Authority, the Environment Agency and Natural England, to help deliver a Liverpool City Region focused Year of Action for the Environment, working with a broad range of partners from different sectors across the City Region. 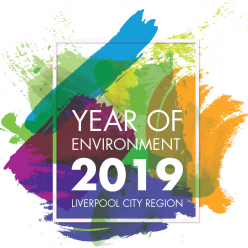 In the context of rising concern and regard for the environment, we are all committed to work together to ensure that 2019 will be a year of green action across Liverpool City Region where people from all backgrounds will have the opportunity to be involved in projects that improve the natural world. 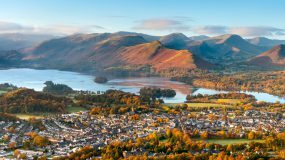 Our aim is to leave a better environment for the next generation to inherit and make our area one of the best places in the country to live, work and flourish. Contact us for general enquiries. This form should not be used to report flooding incidents or related issues. 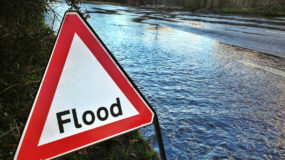 This website has been funded by the North West Regional Flood and Coastal Committee and is a joint initiative developed by the Environment Agency, United Utilities, Newground, and the Cumbria, Lancashire, Greater Manchester, Merseyside and Cheshire Strategic Flood Partnerships.